We can currently only ship within the USA / Canada. If you would like to place an order from outside the US / Canada please contact us for a custom shipping quote. All orders will be processed processed within one business day of the order. No returns are accepted after 30 days from the purchase date. You may return new, unopened items within 15 days of delivery for a refund. We’ll also pay the return shipping costs if the return is a result of our error (you received an incorrect or defective item, etc.). You must contact us via email first to receive a Return Authorization number before returning any items for a refund. Items sent back that do not have a RA# will not be accepted. 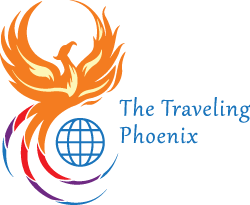 If you need to return an item, please contact us via email at contact@thetravelingphoenix.com or call us at 480-462-5899 with your order number and details about the product you would like to return. We will respond quickly with instructions for how to return items from your order.